You can rely on Mt Barker Blooms & Baskets to hand-deliver fresh flowers and plants to all the major suburbs, hospitals, churches, funeral homes, and nursing homes in the Mt Barker, SA area. 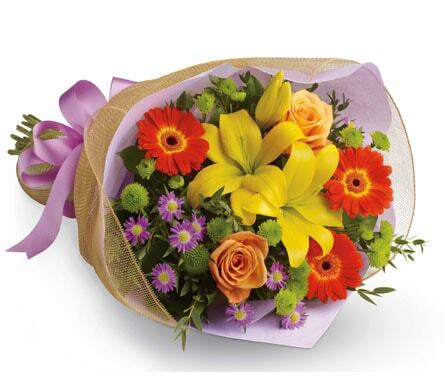 We can send your flowers same-day delivery and next-day delivery to Mt Barker and surrounding areas. 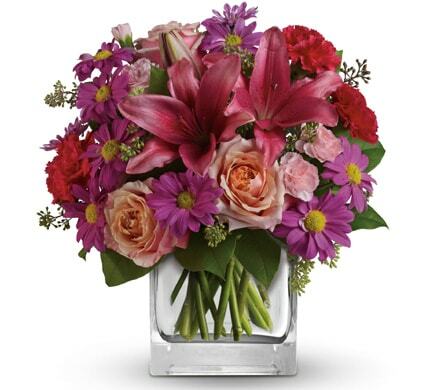 Select Designer's Choice for our freshest flowers, hand-arranged by Mt Barker Blooms & Baskets. Please let us know if you have a special request for any of delivery areas we service. Do You Need to Find a Nearby Mt Barker, Adelaide Florist? Located in Mount Barker, our florist offers a wide range of arrangements to suit any occasion. We deliver to locations such as churches and other places of worship, cemeteries, crematoriums, funeral homes, hospitals, medical clinics, aged-care facilities, retirement communities, workplaces and private homes. Some of the churches and other places of worship within our delivery area are Mount Barker Baptist Church, Uniting Church in Australia Mount Barker, St Paul�s Lutheran Church, Our Lady of Mercy Catholic Church and Mount Barker Presbyterian Church (St Andrews). We also deliver to cemeteries and funeral homes such as Mt Barker General Cemetery, Stirling Cemetery, Nairne Cemetery, Kleemann Funerals and Harrington Funerals. Deliveries can also be arranged to a number of hospitals including Mount Barker District Soldiers� Memorial Hospital, Stirling Hospital, Royal Adelaide Hospital, Women�s and Children�s Hospital and Glenside Hospital. Among the aged-care facilities and retirement communities we deliver to are Eldercare Sash Ferguson, The Laurels Retirement Village, Oakfield Lodge Residential Care, Lifestyle SA Mount Barker and Riverbank Retirement Village. 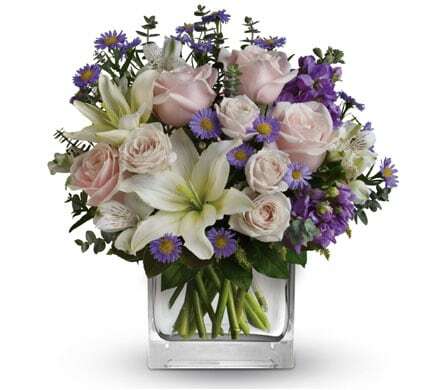 In times of mourning, a bouquet of flowers can help convey your sympathies in a respectful manner. We have a range of wreaths, sheafs and bouquets to choose from which can be delivered either to a funeral home, cemeteries or the home of the family of the deceased. Our �Serenity� wreath is a ring of white blossoms and is a classical symbol of sympathy when paying your respects at a funeral service. White is traditionally known as the colour to represent sympathy. �Basket of Memories� is a bright combination of yellow, white and blue blooms which provides a bright yet respectful touch when passing on your sympathies. Our arrangements are all available in standard, classic and deluxe designs. Mount Barker is located in the Adelaide Hills, 33 kilometres south-east of the CBD. It is the largest town in the Adelaide Hills region with more than 10,000 residents. The South Eastern Freeway allows commuters quick access to Adelaide city. Surrounding towns include Hahndorf, Echunga, Strathalbyn, Nairne, Macclesfield and Littlehampton. Mount Barker was named after Collet Barker, a British military officer and explorer who surveyed the area in 1831. Farmers first settled in the town in 1844 and saw the construction of a steam flour mill which operated for 50 years. Today, Mount Barker is one of the fastest growing areas in South Australia with a number of new subdivisions resulting in many major retailers opening in the area.